Cabana | ARTIVIST | creative by any means necessary! ARTIVIST | creative by any means necessary! Salmonella Dub FREAK OUT RUN! This short Spring Break run over Labour Weekend is the first of the summer series from Salmonella Dub LIVE with a fresh look based on the OG Salmonella Dub we all want!!! The band have pulled out some special stops with a show at the Cabana in Napier on Thursday 21st October for a limited 250 audience – an intimacy that has not been offered by the group in some time. 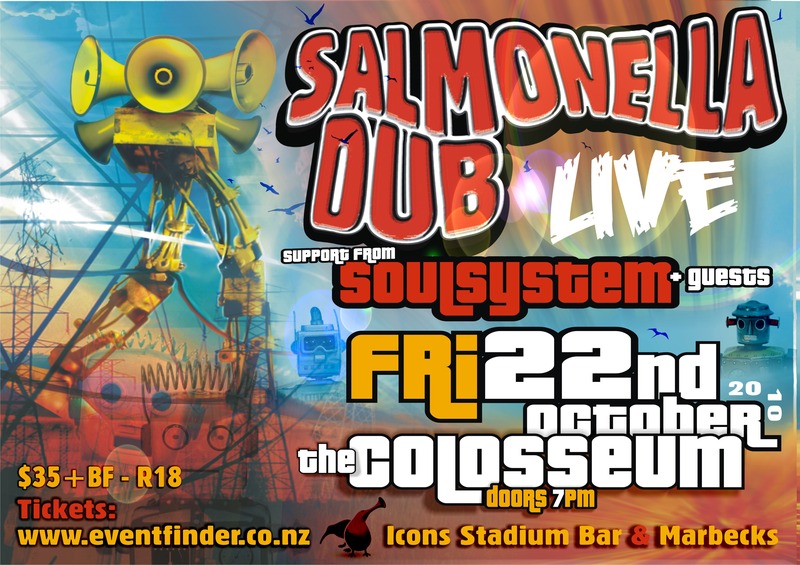 Palmerston North is a great small venue event at the Colesseum on Friday 22nd with a capacity of 500 in relative plush surrounds… likewise the capacity of the Woolshed Tavern on the afternoon of Sunday 24th in Reporoa. 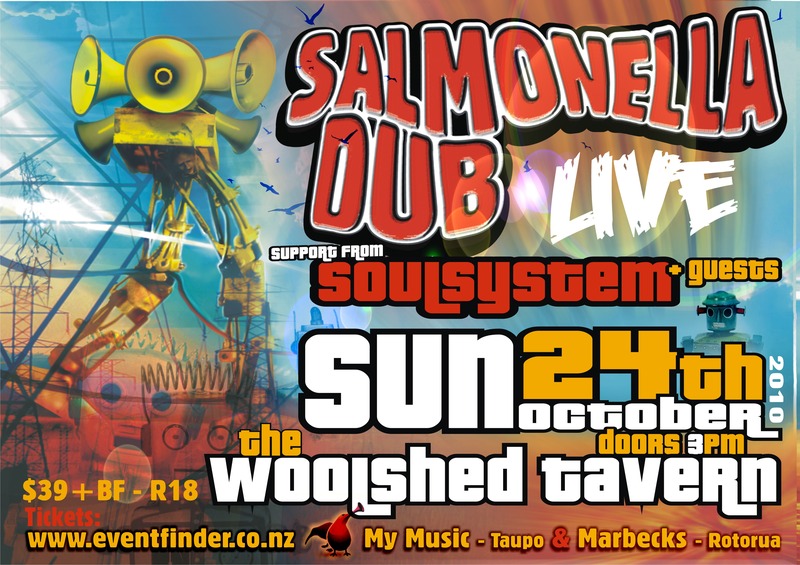 The 2 venues are the extremely different & this shows a level of diversity & intimacy that Salmonella Dub has with its local audiences. 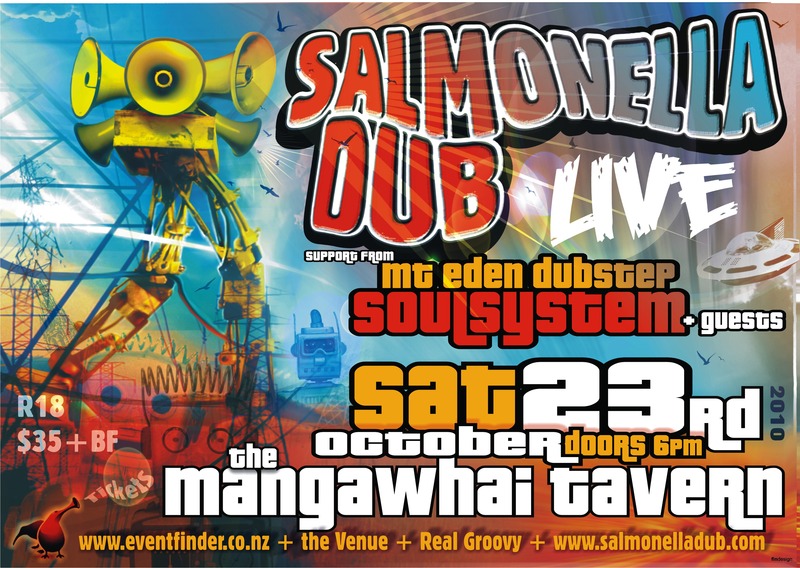 Mangawhai Tavern on Saturday 23rd October at 7pm – doors to the DUB!!! 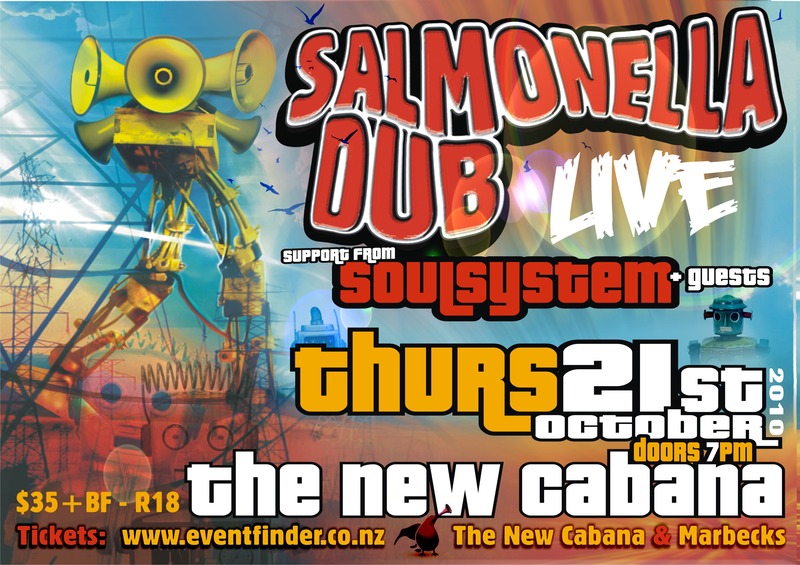 Salmonella Dub supported by Soulsystem & Mt Eden Dubstep & guests!!! BIIGGG!!!! For those who want to mix it with the masses – MANGAWHAI!!!! Comments : Comments Off on Salmonella Dub FREAK OUT RUN! ARTIVIST : categories Select Category ! @M3 ART Audrey Holyoake Dan Tippett DLT FREE INTERUPT! JoFF Rae MUSIC Promotions PROTEST random StuFF! Technical Direction / Production Design & Management – music & arts, tours, events, concerts, etc.
! @M3 ART Audrey Holyoake Dan Tippett DLT FREE INTERUPT! JoFF Rae MUSIC Promotions PROTEST random StuFF!